José’s background includes ten years as a freelance scenic designer working in Oregon, Texas, and California. He founded Miracle Theatre Group in 1985 with his wife, Dañel Malán. José holds an MFA in Theatre Arts from UCLA and a BA in Humanities with an emphasis in Philosophy and Arts History from the University of Santa Clara. He has studied in Vienna and traveled through Europe and the Middle East. In 1997, José was recognized as a Community Treasure by TACS-PGE/Enron. He has also received awards for “Outstanding Contribution to the Hispanic Community” from IMAGE of Washington County, 1992, and a Dramalogue Award for Excellence in Set Design for The Hostage, 1983. Under the pseudonym Martín Milagro, he has written five full-length plays produced by the Miracle Theatre: Maria’s Magic Christmas (1989); Un Christmas Cuento (1991); ¡Cuentos! (1992); La Canción de Libertad (1993); and Chavez (1996). He has also penned two Spanish-language screenplays: Solución Familiar and Adios Tristeza for Washington County Aging Services. José has served as an Adjunct Assistant Professor in Theatre Arts and Chicano/Latino Studies departments of Portland State University, and as a Visiting Arts Administration Specialist for the United States Information Agency (1995 & 1996), conducting workshops in arts administration and fundraising with large and small organizations in Guatemala, Honduras and El Salvador. Currently he serves on the board of directors for the Miracle Theatre Group, Coalition for Communities of Color and the National New Play Network. 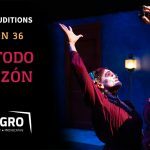 Malán co-founded the Milagro Theatre with her husband, José Eduardo González and in 1989 she created the bilingual touring program, Teatro Milagro, which tours nationally to schools, colleges and universities. Ms. Malán researches and develops script ideas and works with playwrights, directors, composers and choreographers for the creation of many of the productions. She has also written several bilingual scripts for Teatro Milagro, which include Cuéntame Coyote (2005, 2014) and FRIDA, un retablo (2006, 2013). Ms. Malán has worn many hats in her 30 some year career as a performing artist. For a number of years she managed and performed with the Milagro Bailadores, Miracle’s pan-Latino dance troupe. For Milagro’s residencies and workshops, she has collaboratively designed and implemented curriculum for K-12 schools, colleges and community groups. She has shared her curricular work and bilingual education techniques as a guest instructor and workshop leader at various national and regional workshops, conferences, universities and college campuses around the country. Malán co-founded OYE, Opciónes Y Educación, a Latino sexual health coalition with Multnomah County Health Dept. and has also developed a cultural competency training program for the corporate sector. Malán received her BA in Theatre Arts from the University of California, San Diego and her MS in Curriculum in Instruction from Portland State University. Her graduate work focused on a case study of quantitatively documenting improved learning with bilingual arts integration in 8th grade classrooms. Olga Sanchez served as the Artistic Director of Milagro, the NW’s premier Latino arts & culture organization from 2003-2015. An actor, director, writer and educator originally from NYC, she served as Co-Artistic Director of the People’s Playhouse in the East Village, as a founder and Artistic Director of Seattle Teatro Latino, for which she wrote and directed several pieces celebrating the beauty of Latino cultural heritage, and as a founder of La Casa de Artes, a Seattle-based non-profit organization dedicated to raising the visibility of Latino arts and artists in the community. For Milagro, she directed over 25 works including: El Quijote by Santiago García; García Lorca’s Bodas De Sangre(in the original Spanish) and Blood Wedding; Nilo Cruz’s Lorca In A Green Dress (Drammy Award, Excellence in Direction), and several world premieres including Caridad Svich’s Guapa and Rubén Sierra’s When The Blues Chase Up A Rabbit. Her devised work includes five Día de muertos shows, including ¡O Romeo! (Drammy Award, Outstanding Achievement in Devised Work). Internationally, her directorial work has been seen in Honduras, Peru, Venezuela and Cuba. Sanchez is a founding member of Los Porteños writers group; her work has been published by Electrik Milkbath Press, Rio Grande Press and Rain City Projects. She edited the book, “Teatro de los Muertos”, a collection of photographs by Russell J. Young of Milagro’s muertos shows. In addition, Sanchez pens a column on local Latino arts and culture for El Hispanic News, Oregon’s bilingual newspaper. Sanchez has served for many years as a community arts organizer and art educator, including as the director of Milagro’s Latino Artists eXchange/Intercambio de artistas Latinos (LAX/IdeAL), strengthening the community of Latino artists of all disciplines. She has served youth groups and cultural organizations, including the Cesar Chavez Leadership Conference and Seattle’s Mañana Coalition. She is the creator of Posada Milagro, a community-based holiday program. From 2007-2013, Sanchez served on the board of Theatre Communications Group (TCG) and its Diversity Task Force; currently she serves on the Steering Committee for the Latina/o Theatre Commons, a program of Howlround/Center for the Theatre Commons at Emerson College. She holds a BA, Theatre, from Hunter College, C.U.N.Y. ; MA, Human Development, Pacific Oaks College NW, specialization in Bicultural Development; and begins graduate studies toward earning a Ph.D., Theatre Arts, from University of Oregon in fall, 2015. John Rodarte brings organizing and fundraising experience to the team. John is the Manager of Commercial and Residential Sales for AAA Heating and Cooling and has been connected with Milagro for years, but has only recently become involved. He has a strong business background, over 20 years of managerial experience as well as a strong dedication to community involvement and volunteerism. John served as the State Director of the Ventura Junior Chamber of Commerce for six years where he coordinated the State Convention, served on fundraising committees, and created innovative new programs. He looks forward to using his experience to help shape the future of Miracle Theatre Group and to expand awareness of the Latino Arts in the Portland community. Mary Nolan was elected to the board in 2018, Nolan has been a supporter and subscriber of Milagro for many years. She has been a strong and passionate ally of local arts groups, especially performing arts and arts education, since 2001 when she began her 12-year service in the Oregon legislature. Nolan is a partner with Caudaloso LLC, which assists Oregon start-ups with governance issues and fundraising strategies. She recently retired as CEO of Planned Parenthood Advocates of Oregon, and serves on the Audit Committee for Unitus Community Credit Union. She maintains relationships with leaders across Oregon as a Senior Fellow of the American Leadership Forum and a McCall Society member with 1000 Friends of Oregon. Nolan is mother to a Latina digital artist, and is herself an apprentice furniture maker with the Guild of Oregon Woodworkers. Nolan and her husband Mark enjoy hiking, tennis, exploring new cultures and cooking authentic Catalán meals, in Portland and with family in Girona. Clinten Hendricks brings marketing and business development experience to the team. Clint is the Founder and Principal of Hendricks Consulting, LLC, a firm that assists companies and organizations in creating and executing transformational global marketing and operations strategies. He has a strong business background with over 20 years as an executive in various marketing and business development roles for global brands Nike and Lululemon Athletica. Clint earned his MBA from Harvard Business School in Boston and completed his Bachelor of Science degree in Industrial and Systems Engineering from the University of Southern California, in Los Angeles. Having recently joined the board he looks forward to using his experience to help Milagro continue to grow and thrive for the enrichment of all Portland communities. Roy Antonio has been involved in the performing arts most of his life. He has a background in dance, first in his native Costa Rica where he studied Limón and Graham techniques, and later in the USA where he continued his modern dance studies as well as ballet and jazz in Washington, DC. In 1993 he received a Helen Hayes Award Nomination for Outstanding Choreography for Female Hitchhikers (Consenting Adults). Upon moving to Seattle, he worked as choreographer, stage manager and director at many theatres including ArtsWest, Book-It Repertory, and Latino Theatre Projects. He founded and was artistic director of Arouet from 2012–2015, where he got to produce and direct works that speak to social justice. He was a company member of Theatre9/12, where he was mentored by Charles Waxberg in directing and scene study; and was a guest artist with eSe Teatro. Roy is a member of the 2015 Lincoln Center Theater Directors Lab, the 2016 Directors Lab West, and of the Latinx Theatre Commons (LTC) Steering Committee. New to Portland, he is excited to discover all the city has to offer. Originally from the Appalachian mountains of North Carolina, Laurel graduated with a BA in Performing Arts Studies from Lees-McRae College, with an emphasis in technical theatre and stage management. Relocating to the San Francisco Bay Area in 2011, Laurel spent the last seven years working at startups in the tech industry, using the creative toolkit she learned in theatre to deliver pizza through an app, launch a robot, and build bigger, better brands from the ground up. Theatre lover by birth, digital marketer by choice. Mother. WifeLover. Believer in snacks. Past theatrical credits include Guys and Dolls (props/SM), Around the World in Eighty Days (carp/dresser), Into the Woods (SM), Cats (props/SM), Rhinoceros (carp), Urinetown (electrics), A Lie of the Mind (carp/paint), Black Coffee (SM), and Almost, Maine (Gayle/Ronda). Evan Holt is originally from Idyllwild, California. In 1997 he moved to Portland to attend Lewis & Clark College where he graduated with honors in art. He then started a small custom furniture business in 2003 which he worked at until 2017. During that time he branched out to custom cabinetry and props for model homes and business fixtures. He attained a contractor’s license in 2007 and started working on bathroom and kitchen remodeling. During this time he also worked for a local wine cellar company and has installed hundreds of wine cellars. In 2011 he received his Masters in Fine Art from Pacific Northwest College of Art in Portland. His degree was focused on design work and furthering his woodworking skills. He has built sets for plays at CoHo and Artist Rep Theatres in Portland. He joined Milagro late in 2018 as Technical Director and is excited to use all his skills to help create beautiful and inspiring plays. Ajai Terrazas Tripathi, Performer & Tour Manager, originally from Corvallis, Oregon, where he graduated from Oregon State University with a BA in Theatre. He is also a resident playwright, having recently written and directed the touring show Sueños de Fútbol, and Mijita Fridita. As an actor, he has performed in FRIDA, un retablo, B’aktun 13, Duende de Lorca, Cuéntame Coyote, Searching for Aztlán, and Broken Promises. Prior to Milagro, Ajai directed and produced two original plays The Death Rattle, and The Anti-Bullying Project, both based on real life stories. This is his seventh year in the Milagro touring company, where he wears many hats, which also includes grant writing, assisting in curriculum development and community outreach efforts. Jeseca Dawson is originally from Corona, California. She received her Bachelor of Interdisciplinary Studies degree in Detroit, Michigan at Wayne State University’s College of Urban, Labor and Metropolitan Affairs in 2005. From 2006-2010, she worked at the Museum of Contemporary Art Detroit as the Deputy Director of Operations and Administration. Jeseca received her MFA in Public Practice in 2012 at Otis College of Art and Design in Los Angeles, after which she completed a Curatorial Fellowship at the Ben Maltz Gallery where she worked until 2016. Shira has been doing theatre her entire life, primarily in her hometown of Charlottesville, VA, then while studying Theatre Arts with a design/tech focus at Virginia Tech. Since moving to Portland in 2017, she has been involved with Milagro as a Stage Manager and then on staff, now as the Production Manager. She is happiest behind the scenes working in the theatre world, whether that mean as the Stage Manager, an electrician, a sound tech, or any number of other roles. Occasionally she can be found on stage as a member of a choir. Shira has a passion for the performing arts and is excited to be working at such a great organization to help keep theatre happening in Portland. Liset Puentes is from Las Vegas, Nevada. She graduated from the University of Nevada, Reno with a BA in Journalism. Liset grew up in Los Angeles where she was exposed to the arts and theatre. Her love of storytelling compelled her to study journalism and be a part of the university’s first cohort of bilingual journalists with a program called Noticiero Móvil. After graduating she managed the Ozmen Center for Entrepreneurship at the University of Nevada, Reno. There she organized the Sontag entrepreneurship competition and helped launch the Women’s Initiative to support women entrepreneurs including organizing the college’s first bilingual panel of female entrepreneurs. Liset enjoys community building, event planning, and supporting a diverse arts community. Cindy Angel is originally from a small town in Yakima Washington. She graduated from Washington State University with a BS in Psychology. As an actor, she has performed in Our Town, You Can’t Take It with You, Richard III, She Kills Monsters, and Don Quixote where she played her favorite role as Sancho Panza. Cindy has also taken on behind the scene roles as an assistant set designer, director, and prop master. This is her first year touring with Teatro Milagro and she is looking forward to the new adventure. Marissa Sanchez is a Humboldt State University graduate with a BA in Theatre Arts. She is from the agricultural town of Watsonville, CA. At HSU, she was the Assistant Scenic Designer for Peter and the Starcatcher, and for Lime Production’s Doubt & Gruesome Playground Injuries. Her performance experience includes HSU’s productions of Real Women Have Curves (Ana), various roles in Charlotte’s Web and Hermanas Unidas production of Latinologues. She interned for the Arcata Playhouse Round Story Project bringing multi-generational members of Humboldt’s community and the student body together to address racial equity and justice. Eduardo Vazquez Juarez, has been performing since he was 6 years old, in his hometown in Illinois. His favorite roles include Tevye in Fiddler on the Roof, Tom Buchanan in Great Gatsby, Rooster Hannigan in Annie, and Snoopy in You’re A Good Man, Charlie Brown! Recent credits include touring with Oregon Children’s Theatre in their educational theatre program throughout Oregon, as well as Washington. As a bilingual/latinx actor, he hopes to inspire people from different races to explore and do whatever they set their mind to. Follow him on Instagram @eddievjuarez to stay in the loop of his next adventure.